Researchers at The University of British Colombia (UBC) have perfected a process to successfully separate fiberglass and resin - two of the most frequently discarded parts of a cell phone - taking them closer to their objective of a zero-waste cellphone. It is one of the first processes to use simple methods like gravity separation to efficiently lift organic resins from inorganic fiberglass. Discarded cell phones are a huge, growing source of electronic waste, with close to two billion new cell phones sold every year around the world and people replacing their phones every few years. The challenge is to break down models that can no longer be reused into useful materials - in a way that doesn't harm the environment. A majority of e-waste recycling firms concentrate on recovering useful metals like gold, silver, palladium, and copper, which can be used to make other products. But nonmetal parts like resins and fiberglass, which form the bulk of cellphones' printed circuit boards, are commonly discarded because they are less valuable and tougher to process. They become landfill where they can leach harmful chemicals into the soil, groundwater, and air, or are fed to incinerators. Holuszko, who co-founded UBC's urban mining innovation center - a unit dedicated to reclaiming valuable metals and other materials from electronic waste - was resolute to find a superior recycling solution. With Ph.D. student Amit Kumar, she created a process that applies gravity separation and other simple physical methods to process cell phone fiberglass and resins in an environmentally neutral fashion. The key here is gravity separation, which efficiently separates the fiberglass from the resin by using the differences in their densities. The separated fiberglass can then be used as a raw material for construction and insulation. In the future, if we can find a way to improve the quality of the recycled fiberglass, it may even be suitable for manufacturing new circuit boards. The researchers are currently seeking to develop a large-scale commercial model of the process, in collaboration with Ronin8, a Richmond, B.C. recycling company that separates the different fibers, plastics, and metals in electronic waste streams without using lethal chemicals or losing valuable metals. Ronin8 has developed an innovative e-waste process for electronic waste that aims to address the intrinsic faults in traditional e-waste processes today. 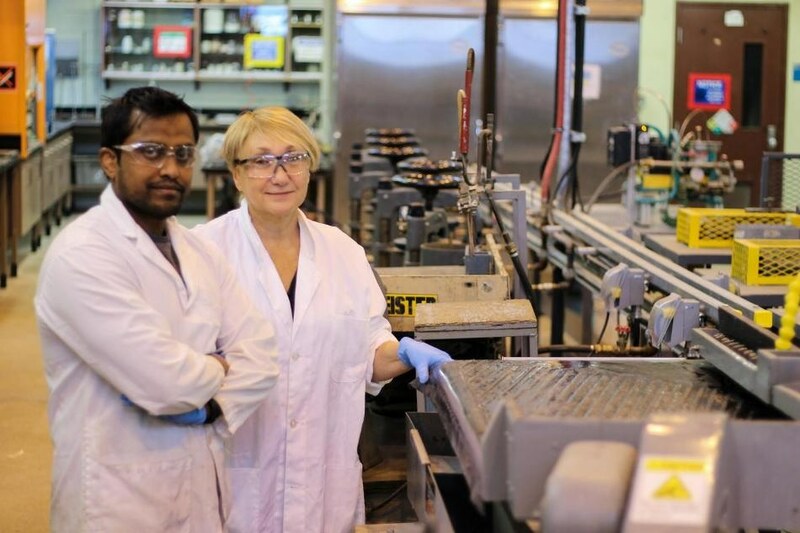 Our vision is to achieve a zero-waste end-of-life solution for electronics, and our work with Maria and Amit at UBC has moved us closer to this reality. The team says their efforts have taken on a new urgency considering China's waste import ban, which took effect January 1, 2018. "We need a better way to manage our electronic hardware recycling, and a cost-effective, environmentally responsible method of mining e-waste for valuable materials would be a good step in that direction," said Holuszko. Congratulations to Professors Holuszko and Kumar! This is an important development, especially with the import ban.